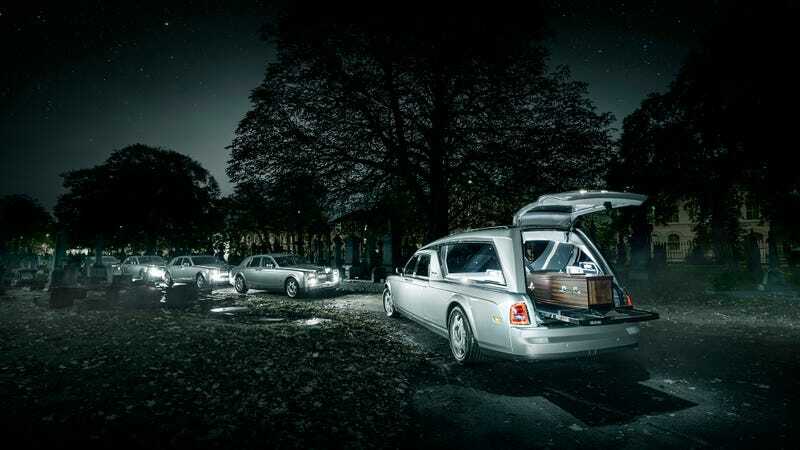 A. W. Lymn are a family run funeral company who have a funeral fleet of 39 Rolls-Royce and Bentley vehicles and this new Phantom Hearse brings the current Phantom fleet to 11 in total. I did two shoots to celebrate the arrival of the new Phantom Hearse, one in the graveyard in which the founder of the company was buried and one in the busy Market Square in the centre of Nottingham. It felt appropriate with the chilling nature of the graveyard photos to release them today on Halloween!